David Segrest is of counsel for Foley Gardere, an international law firm with more than 1,100 lawyers and 24 offices worldwide. Following a federal clerkship with Judge Byron Skelton of the U.S. Court of Claims in Washington, D.C., Segrest joined the Gardere Law Firm in Dallas, Texas. During his career with the firm he served in several leadership positions, including managing partner, and developed specialization in corporate and business law, including mergers and acquisitions. In 2018, Gardere, Wynn & Sewell combined with Foley & Lardner to form Foley Gardere. In 2008, Segrest was awarded the Distinguished Alumnus Award from the Texas Tech University School of Law. 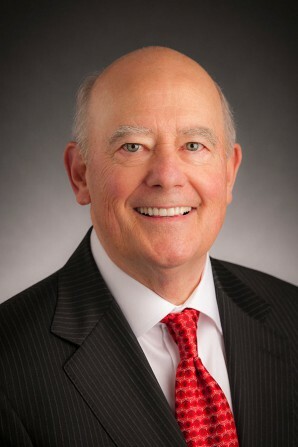 He currently serves on the board of the Texas Tech Law School Foundation, where he has also served as president. He is a charter member of the Texas Tech University School of Law Dean’s Circle and has served on two dean search committees for the school. Outside of his service to Texas Tech, he has served on advisory boards for Frost Bank and Daisy Brand. A two-time graduate of Texas Tech University, Segrest earned a bachelor’s degree in history and was a member of the School of Law’s first graduating class. While in law school he was a member of the Texas Tech Law Review, graduated with honors and received the second highest grade in the state of Texas on the bar exam. Segrest is married to Sarah Segrest and has four children, Ashley; Christian; David Segrest Jr., who graduated from Texas Tech in 2000 and 2003; and Courtney, who graduated from Texas Tech in 1991.